Monty Neill, Ed.D., Executive Director of the National Center for Fair & Open Testing (FairTest), has led FairTest’s work on testing in the public schools since 1987. He has initiated national and state coalitions of education, civil rights, religious, disability and parent organizations to work toward fundamental change in the assessment of students and in accountability. He chairs the national Forum on Educational Accountability. Under his leadership, FairTest has collaborated on testing reform efforts with organizations in many states. Among dozens of publications, he is lead author of Failing Our Children; Implementing Performance Assessments: A Guide to Classroom School and System Reform; and Testing Our Children: A Report Card on State Assessment Systems. He earned a Doctorate at Harvard University with his dissertation The Struggle of Boston’s Black Community for Quality and Equality in Education: 1960-1985. He has taught and been an administrator in pre-school, high school and college, and he is a grandfather of three children in the public schools. Dr. Blake has a Bachelor of Science from Northeastern University, an MBA from Atlanta University and an Ed.D. in Urban School Leadership from the University of Massachusetts. Dr. Blake has had a variety of professional experiences, which have contributed to shaping his vision of education. 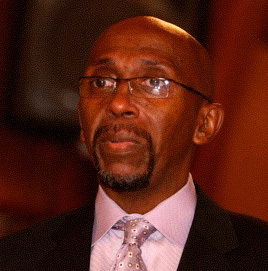 Formerly he was the Principal of the Henry Dearborn Middle School, a Boston Public School located in Roxbury MA. Prior to that he was the Assistant Principal of Wellesley Middle School in Wellesley, MA and the METCO Director for 17 years for the Lincoln Public Schools. In addition, he served as the Executive Director of Empowering Multicultural Initiatives (EMI), an anti-racism staff development organization designed to train teachers in anti-racism education. Dr. Blake was one of the EMI founders, and also served as an EMI instructor. 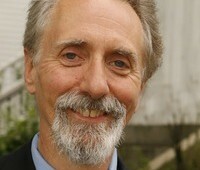 Dr. Blake has been a member of the Harvard Principals Center Advisory Board for a number of years. He was a presenter at the Harvard Urban School Summer Leadership Institute as well as a guest lecturer at the School of Education. He has developed anti racism courses at the University of Massachusetts, and at a variety of public schools in the Boston area. 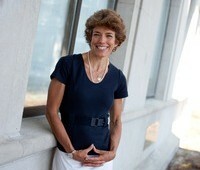 Dr. Nancy Rappaport is a graduate of Princeton University and Tufts University School of Medicine. A board certified child and adolescent psychiatrist, Rappaport is associate professor of psychiatry at Harvard Medical School and Director of School Mental Health Programs at Cambridge Health Alliance. Rappaport has worked with the Cambridge public schools as an attending child and adolescent psychiatrist for more than 18 years. She has designed numerous courses for teachers on psychopharmacology, adolescent development, and instructional strategies for disruptive students. She has worked at the national level with the American Academy of Child and Adolescent Psychiatry. With several publications in peer-reviewed journals and multiple invited presentations, she is often called upon for her expertise at both the local and national level. 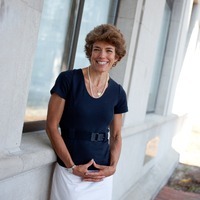 Nancy’s is also an author, her most recent book The Behavior Code: A Practical Guide to Understanding and Teaching the Most Challenging Students (Harvard Education Press, April 2012), was written with behavioral analyst Jessica Minahan. She received the American Academy of Child and Adolescent Psychiatry’s Sidney Berman Award for the School-Based Study and Treatment of Learning Disorders and Mental IIlness in 2012 and recently received Cambridge Health Alliance’s 2013 Art of Healing Award. Melina O’Grady, EdM, is an Education Consultant with over 20 years experience working with youth and youth programs in Boston and San Francisco, focusing her work on arts education, adjudicated youth, girls programming and after school education. She founded and ran the non-profit Bay Area Teen Voices, a youth media and journalism project for girls, and coordinated a youth worker credential program with Boston After School and Beyond. Currently, she is consulting as a management coach, trainer, researcher and writer.